In stock items ship out of our warehouse in 1 to 2 business days. To calculate shipping cost, add your order to the shopping cart and proceed to checkout, enter your zip code, select shipping method, click apply, and then you will see the shipping price on the left. 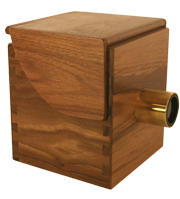 LUCID-Arts and Camera Obscuras ship via USPS Priority International, which takes 6-10 days in transit. 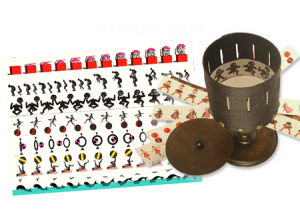 Small items like LUCYs and optical toys ship via USPS First Class International, which takes 2-6 weeks in transit. The costs are calculated by weight and discounted below our actual costs per item. If you add your item(s) to the shopping cart, then you can see the shipping totals before you checkout. Import duties, taxes and charges are not included in the item price or shipping charges. These charges are the buyer’s responsibility. But I lowered all my international shipping prices at my own expense to help offset the cost.